Do Children Have to Support a Destitute Parent? "Filial responsibility" is the idea that children have a duty to care for parents. 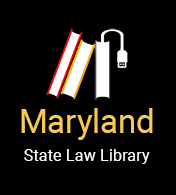 Historically, filial responsibility laws were far more common, and although Maryland has a filial responsibility law it is rarely enforced and may be overridden by other Maryland laws. Despite the above law, Maryland bars nursing homes from holding children responsible for parent’s nursing home bills unless the children agreed in writing to be financially responsible. One scenario where Maryland’s filial laws may come into play is when a parent is under the care of a state psychiatric hospital. If the parent is under age 65, the state can use the law to get the children to reimburse the state for the parent’s care.